POLITICAL Leadership the world over is taking a hit. The Leader of the world’s Super Power is a petulant, foul-mouthed, misogynistic character whose ascendence to the top seat in the world’s so-called bastion of ‘freedom’ appalled the most idealistic of us out there. It was simply a sign of the times to come. There are many words we employ to describe people who behave the way this world leader does; some polite yet very apt – like ‘despicable’ – while others are too rude to be put into print. For a long time, closer to home, we have seen these signs manifesting themselves mostly because of the activity that has taken centre stage for long years of political campaigning. Sadly for us, the political activity and campaigns continue to focus more on the campaigns and attainment of positions and titles of ‘leadership’ rather than the results of that leadership. This Tuesday was less surprising than disappointing, and not because of the usual reasons. Having been locked up in a Leadership Retreat to discuss matters of seeming importance that would not be affected by the lifting or not of Age Limits anywhere in the world, I emerged from the Board Room in the evening to an amazing array of astonishing videos and social media messages. The first stood out because of the vivid colour involved. Initially I took it to be some masterful disinformation and sabotage; how could I just believe that an adult who is currently in the public eye could dress up all in bright yellow and drive a bright yellow vehicle of a distinct make and model, then park it by the roadside and not expect to be recognized? Even more, would I not be intellectually careless to simply accept it to be true that the brightly-clad adult would then stop close to the Parliament building where the world’s eyes are focused for the nonce, and still not think that someone would notice them? More to that, in this day and age of frantic and ubiquitous social media activity and heavy smart phone penetration, what self-respecting grown person would stand up against the wall and engage in a spot of public urination? Before passing verdict, I trawled through my messages for important ones and was flabbergasted to get to a video clip that purported (I use this word very carefully, because I must tell the children that all this is made up fiction) to be an interview with the same yellow-clad gentlemen suspected of public urination. I watched the video once and decided that the words could have been doctored, even though the phrase “I was badly off” sounded authentic. I even found a Kampala Capital City Authority (KCCA) Ordinance 6 of 2006 that read that any person who “commits a nuisance by easing himself or herself in any street or place of public resort…where he or she may be seen by the public…” commits an offence. A short while later, I realized that I was subconsciously trying to avoid addressing the images and footage of Representatives of the Ugandan population engaged in a scuffle that involved hurling chairs about the ‘august’ House. That word ‘august’ means “respected and impressive”. One person on Twitter lamented at the possibility of the children of any of the people in the Parliamentary fight footage seeing their parents fighting with their workmates, in suits and ties. Two other video clips depicted other national leaders running from security officials, and others involved insults and disparagements befitting of an American President. There was no salvaging the day, in general, and I urged my phone battery to die quietly so I could rest. The next morning, a friend of mine expressed his dismay over a snafu with an Operation Wealth Creation project upcountry that meant his mother was going to lose an investment worth Ushs100million. See, the rains have started and she is ready to plant crops but…and as we were chatting I quickly checked to find out whether any Leader has recently given guidance to the Ugandan populace on agriculture, agribusiness, investment or any other ‘developmental’ issue. Even though just six months ago we were talking about the drought being a national disaster, we are into the wet season and there is no noise being made about growing food crops and other such unimportant matters. We are all about ‘Politics’. Finding that the Age Limit debate has dominated the conversation, I checked for a copy of the Bill that is causing so much national excitement that we have lost control of our adrenaline and bladders. All the intellectuals out there should surely have dissected it quite considerably left, right and centre? Like most of you out there, I couldn’t find it, and I am not interested enough to really chase it down because supporting it is the least of my worries and has not been made desirable in any way, while opposing it appears both cliched and just as distasteful in action, as evidenced on Tuesday. Indeed, today most everything to do with Politics (not Uganda, yet) is as undesirable and distasteful as finding old men engaged in public urination. In terms of Leadership, we are really badly off right now. JUST before Janani Luwum Day I took a short Uber to my last meeting of the day and chose not to plug in my earphones. I do that, sometimes, to listen from somebody fresh and, in this case, certainly more interesting than most people in the meeting I had just been discharged from. Public transport operators fit in this category just as bartenders in movies do, and my chap that evening did not disappoint. I can’t recall why he got to musing over who pays for our national holidays and celebrations, but he was quite disturbed. He wasn’t too bothered by the loss of revenue facing him because of the public holiday, he said. His concern was that somewhere, somehow, the money he spends on taxes was not being utilised properly. Every time he tuned into the news and saw government officials making speeches, he said, in front of crowds under marquees and tents, he felt he was losing money. He reeled off a few random days in his recent past that had him thinking this, including Tarehe Sita Day. Besides, he pondered, was he really expected to go to Church the next day to celebrate the late Archbishop Janani Luwum? I was impressed by his thought process and pleased that I hadn’t plugged those earphones in. We had a brief discussion in which I told him he should take charge of his affairs and deal with his concerns as a good citizen should. Voicing these concerns was a good beginning. Next, he needed to go straight to the people who determine how his taxes get spent. Luckily I didn’t need to detail for him how he and I actually fund the government; he struck me as being a university graduate with some enterprise that allowed him to also drive an Uber. Nevertheless, like most of us he didn’t know which government office paid for all these events – but I had a clue and explained the allocation ministry by ministry for the most obvious events. Then I advised him to occasionally visit websites like www.budget.go.ug to see in real-time where the government is spending money and how. Then, I suggested, he needed to find his Member of Parliament and tell him what he – the tax-paying citizen driving the Uber by which the government collects from fuel, airtime and corporation taxes – preferred for the money to be spent on. By then we had arrived at my destination and I feared it would be too complex for me to go into the nitty gritty of the process without losing my shirt to Uber waiting fees, so I suggested he follow the first step and establish exactly who his Member of Parliament is through www.parliament.go.ug. I was pleasantly surprised when he emailed me a week later (for real!) to say he had discovered his MP was Paul Kato Lubwama (Independent). I was also saddened that the exercise had come to a seemingly abrupt end because the gentleman’s email address was not listed. His phone number was, though, so I hope my Uber guy invested in the airtime necessary to follow his concerns through to some end and prove that the citizen’s duty was carried out. Even if he did stop at failing to send an email, this time round, my Uber guy had learnt something new quite at random and worked at it to make a difference to his society and his country. Jacob Oulanyah unleashed a barrage of sensibility this week, on his return from a trip round Germany and France, when he addressed a press conference at which he was reportedly so confused about the time of day that he kept saying ‘Good morning’ in the afternoon. That is the only thing he was confused about – and as we have recently seen in public, people have made worse mistakes in this town. Everything else he said was like the German national soccer team using words like a ball. Reading the news reports made me wish I had been there to watch him slam the volleys of points into our national mental goalmouth. Just reading that paragraph there you can imagine how the Parliamentary spokespeople and many MPs felt like a team of Brazilians on a small, overcrowded pitch, considering that Oulanyah is Deputy Speaker of the House. Our Members of Parliament are representatives of the people. From a strictly grammatical point of view, those 385 or so ladies and gentlemen that the 35million of us have sent to the House are a sample of what we are, in general as a population. If we were a nation of 35 million loquacious but eloquent individuals with an excellent train of thought every time we activated our minds, then our representatives would wax lyrically in the chambers of that House and have the world balancing off everything that dripped off their tongues. Mathematically, game theorists and statisticians would surely bear testimony to that reality as well; even proponents of the 80/20 principle would have us expect that only 20% of the eminent ladies and gentlemen that the Rt. Hon. Oulanyah declared to be (insert appropriate interpretation of his statement) at holding forth intellectual, high quality debate, should be good at it. In fact, however, the Rt. Hon. Oulanyah should judge from a lot of the happenings that we see in our every day lives – from the manner in which we navigate through traffic with the impatience of nursery school children suffering pressing bladders; to the way some public officers manage responsibility like conflicted adolescents whose parents leave town after misguidedly entrusting them with shopping money over a long weekend. The quality of debate in Parliament can only be a reflection of society – the way our representatives are a reflection of ourselves. In the spirit of a Brazilian after the third goal, I will proceed to argue that our MPs, in general, are doing the best they can in a country where Bad Black and her boyfriends whose wealth and importance cannot be easily explained without lengthy questionable narrative, continue to occupy space on the front page (or any other) of a newspaper. And on to the other of Oulanyah’s goals, the need for responsible journalism is directly linked to the reason Bad Black and so many other characters of her kind get so much airtime – and again, that is our society. If on an ordinary day on these streets you can find ten people capable of naming any of the people on the Kiira EV Project (including the Professor who mentored the students) then check the Constituencies of those ten people and name their MPs. Serious MPs, reason would have it, should have constituents who could pass a test asking them to name any of the children featured in the newspapers as being the best in their national examinations. The more serious MPs will have constituents who can even identify and even explain the importance of people like Joseph Mubiru, Ignatius Musaazi, Sir Tito Winyi, and others. In fact, I want to meet people from Oulanyah’s Omoro County because by virtue of the fact that they produced someone so eloquent and focussed from amongst their numbers, it goes to reason that there must be many more such people left behind. And if anyone can fix the economy in the ways Hon. 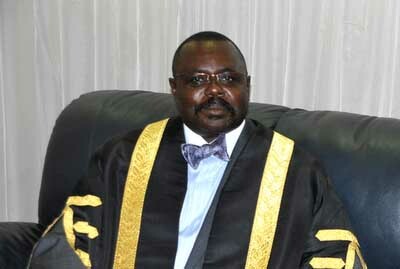 Oulanyah so passionately outlined on his return from his European epiphany, it should be more people like him. And perhaps from Omoro, and via a couple of weeks in France and Germany; because obviously none of the formal education that has been going around for these many years has had this great an impact.